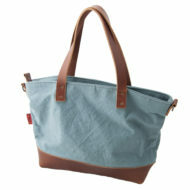 A great all day bag that has 2 main compartments. 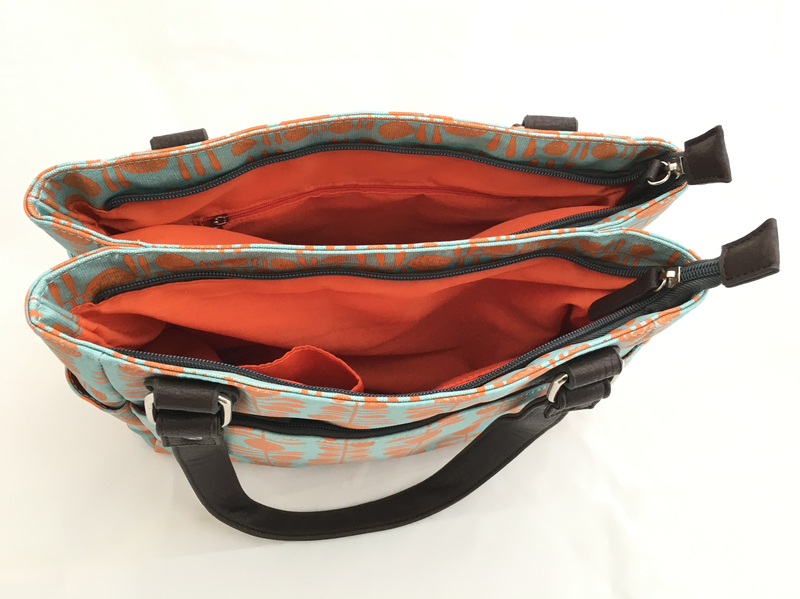 One compartment has a zipped internal pocket and the other has two separate open pockets. 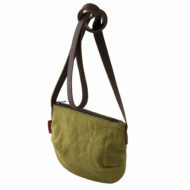 There is an exterior zipped pocket and two open pockets for a water bottle or cellphone. 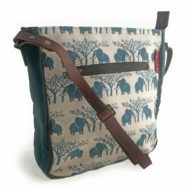 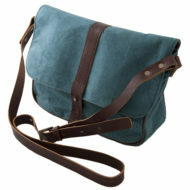 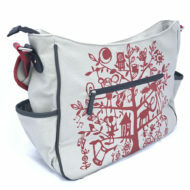 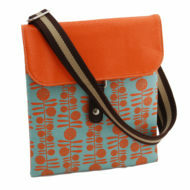 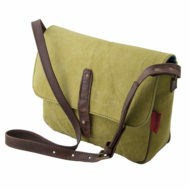 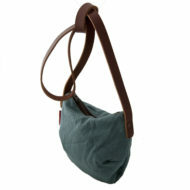 The bag is made of sturdy cotton canvas and is mat laminated to keep it nice and clean. 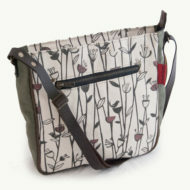 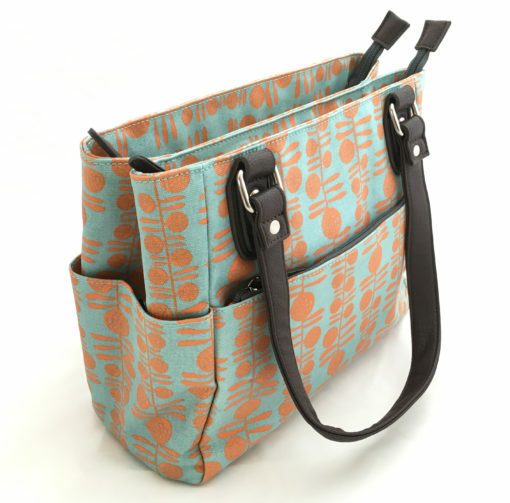 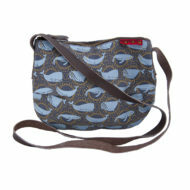 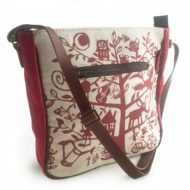 The Berries Penelope Bag is an awesome everyday bag. 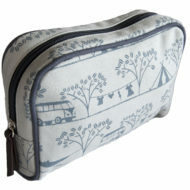 It has two main compartments. One compartment has a zipped internal pocket and the other has two separate open pockets. 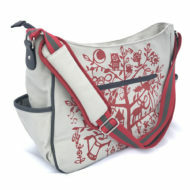 There is an exterior zipped pocket and two open pockets for a water bottle or cellphone. 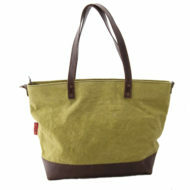 The bag is made of sturdy cotton canvas and is mat laminated to keep it nice and clean. 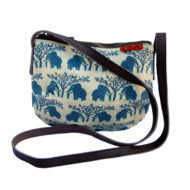 Tamelia is a small South African design company. 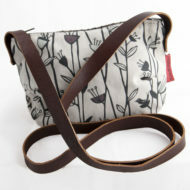 We aim to produce high quality products that are both beautiful and practical.